Crickets crowd together in front of a building in downtown Dallas. 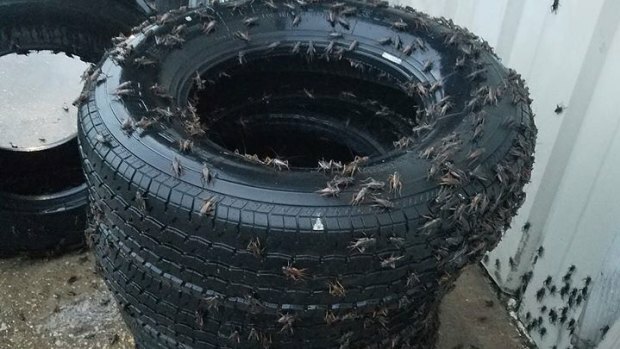 The annual end-of-summer cricket swarm is upon us, and it probably seems worse than past years because of recent rains. They've seen your questions on social media. The Dallas Morning News staff has been asking about the chirps heard around the newsroom and the pile of crickets banging on the newsroom door. 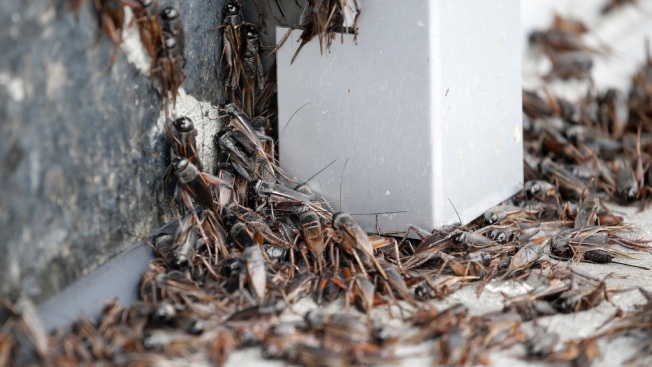 And so they asked Curious Texas: What is with the cricket infestation? CLICK HERE to read more from our media partners at The Dallas Morning News. Curious Texas is an ongoing project from The Dallas Morning News that invites you to join in our reporting process. The idea is simple: You have questions, and our journalists are trained to track down answers.